Hello again, meet us again in this beautiful morning to talk more about the attractions in Indonesia. Not only natural, some the people built the other venues like coffee shop, bar, and even restaurants to fulfill their needs, especially in the busy area. Just like things to do in Kemang, this part of South Jakarta is also a busy one. Filled with businessmen and such, the place became more and more crowded. The first one is of course the mall, the Senayan City Mall. 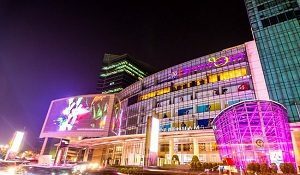 This mall is bigger than Kota Kasablanka and there are many things to do around Jakarta Airport. Senayan City is like the icon of the area, where you can find so many things in here. Almost everything actually. You can find just usual stuff in malls, but in here the things are very vary. You can find so many different brands, with different prices also. 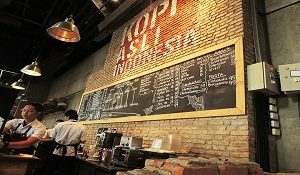 So if you want to check the first place in Senayan, you can go to Asia Africa street. There you can find this huge building which looks more beautiful in the night. Yep, it’s Senayan City Mall. You can be sure by looking at the name on it, so it’ll be so easy to find it. Because this is actually the perfect place for shopping, then happy shopping! 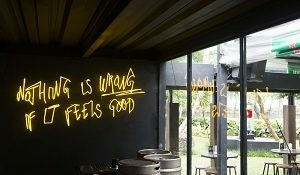 “Nothing is wrong, it feels good”. Yep, the lamp on the wall describes the place so perfectly. The place ain’t romantic place for two, but it’s good for gather the boys and just hangout. You know, relax after work or after school can be erased by hanging out together with friends. Like in this place, “it feels good”. 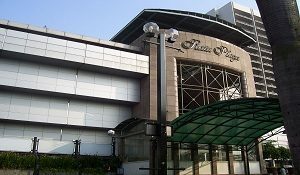 Located in General Sudirman street, the place became so catchy with teenagers in Senayan, and also overall Jakarta. Even though the place is mainly filled with teenagers, but sme businessmen also seen on the spot. They came to try the beer here. The Beer Garden combine the usual beer with some kind of fruity taste in it, which is very good to be honest. The next one is finally the natural attraction. Just like Suropati park in attractions in Jakarta, the park also looks beautiful. 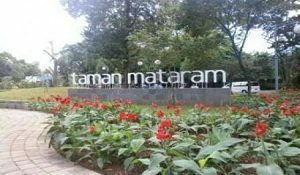 This park which located in Mataram street, is the green area that many people used as a refresher for their busy and boring schedule of working. In Sunday especially, they do this kind of work out together in the morning, which is super healthy for the tiring body. So, this is an alternative for you, if you have a tight schedule, then spare one day to just relaxing and exercising in this calm and green park. You’ll be fresh again for tomorrow and your body and your minds will also be happy. 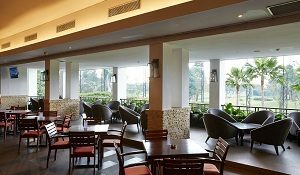 Located in the Senayan National Golf Club, this place is oftenly used as a resting place after planning some golf. Of course, the place looks very expensive and exclusive, carefully preserved for businessmen and manager. Beside resting, they use the place as a brainstorming and meeting with clients or director, talking about business plan and stuff. The place is very suitable for that, with the dark colour interior resembling seriousness and elegance in the same time. It’s so cool. The most exclusive, exotic and comfortable hotel in the area of Senayan. Located around Asia Africa street, the place has splendid review from customers around the globe. They will serve you with the best performances and services to provide you with all your needs. Even though the place is a little bit expensive, but it’s understandable. You’ll be given a room with the most beautiful view of Senayan, plus you can enjoy the pool anything you want. So, if you’re a pleasure seeker, then the Fairmont Hotel is the first start. 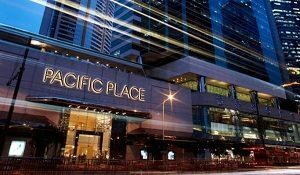 In the 6th place we put Pacific Place. Located just about few meters from Senayan City Mall. This place is the second option, if the Senayan City Mall is too crowded in the weekend. Everything looks more modern in the place, starting from exterior until interior, or maybe the buildings around it, all the things look very modern. Even though the place looks very expensive, but the fact that it’s ain’t s expensive inside is rather tru. You can many meals here that will not explode your wallet or something. You can pick whatever you like, with a very reasonable price. Now, this is the 3rd option of the malls you want to go to. Here is the most affordable malls of all three in the list. Yep, the mall is used to be the place for people with middle economy, but it also very good for another people will higher economy because they can save more money after spending some in this mall. Just like usual, the malls has these places for meals, then for shopping, and other else. So, if you really in a very tight budget right now and want to take your lover into some night love in Saturday nigh, maybe this is the best option for you now. 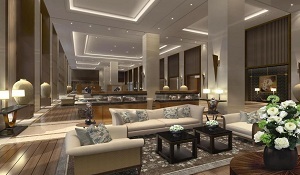 Now, after the Fairmont Jakarta, which is very exclusive and also expensive, there’s another hotel which is also looks good but very affordable. 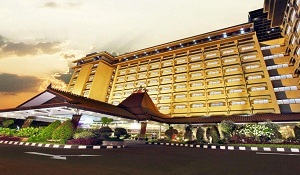 The name is Kartika Chandra Hotel, located in Gatot Subroto street. The place looks very good from the outside though, but also from the inside. You know, the will serve you with this very comfortable and friendly services, just like typical Indonesians. The feeling of Indonesia heritage and culture is very thick in here, not just for the building but also the interior and stuff. Sure, it’ll be great for you to rest in such a beautiful place. After talking about some fun and relaxing stuff, now we’ll go to the place to learn about some histories. Yep, museum. 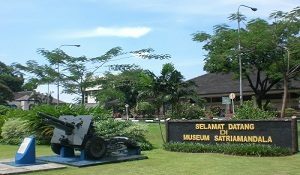 The museum located on Senayan area is the Satria Mandala Museum which looks very cool from the outside because you can see the tanks, the boats, and other artilleries in there. Inside, you can learn more about the military of Indonesia, or the soldier of Indonesia called TNI. There are so many informations that maybe you want to dig a little bit deeper. So, if you interested, you can check it in Gatot Subroto street, near the hotel above. Now, the romantic place in Senayan. 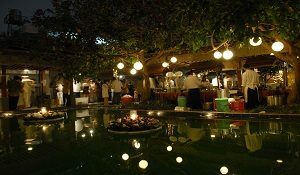 Even though the place is not included in romantic things to do in Jakarta, the place is indeed full of love and friendly aura. Talking about love, this place may be a very good place to take your love into the first date. Because, first impression really matters, right? Located in the area of Senopati street, the place becomes more famous during several years. You can see the place is mainly filled with youngsters and also couples, just hanging out in the place waiting the night to come. It’s very nice. Now in the last place in things to do in Senayan Jakarta, we put the Omah Sendok as the most valuable and warm place in the list, because this place is very suitable for family. Chatting and talking also hang out together with family is actually the best thing you can get in this world. So, the Omah Sendok will give you and your family the favorite foods of Indonesian which very familiar. With the delicacy of the dishes, the warm and fun feeling between families will kept savely until the time to go home comes. That’s it everyone, the things to do Senayan Jakarta. Like we previously mentioned, this part of Jakarta is indeed a busy place, and very suitable for relaxing during lunch time or hanging out with friends after work. Even you can’t find so many natural attractions in here, you surely be satisfied with the existence of the venues there. Maybe after this, you can go to somewhere else like exploring things to do in Old Town Jakarta for example. Go then, and have fun. Enjoy your time!